Bring some freshness and creativity to your everyday meals by picking a great meal delivery service. Both services offer innovative and healthy meals at reasonable prices. Check out our comprehensive FreshDirect VS Fresh n’ Lean comparison to learn more about both services and choose the best option for your family. 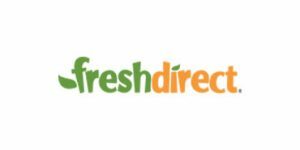 FreshDirect is a company that offers ready-made dishes, meal kits, and an incredible range of groceries and drinks, all super-fresh, delicious, and delivered straight to your door. If you wish to explore new flavors, improve your cooking skills, and shop for groceries with ease, the answer to your prayers may be hiding in this FreshDirect review.